What a beautiful hobby horse! 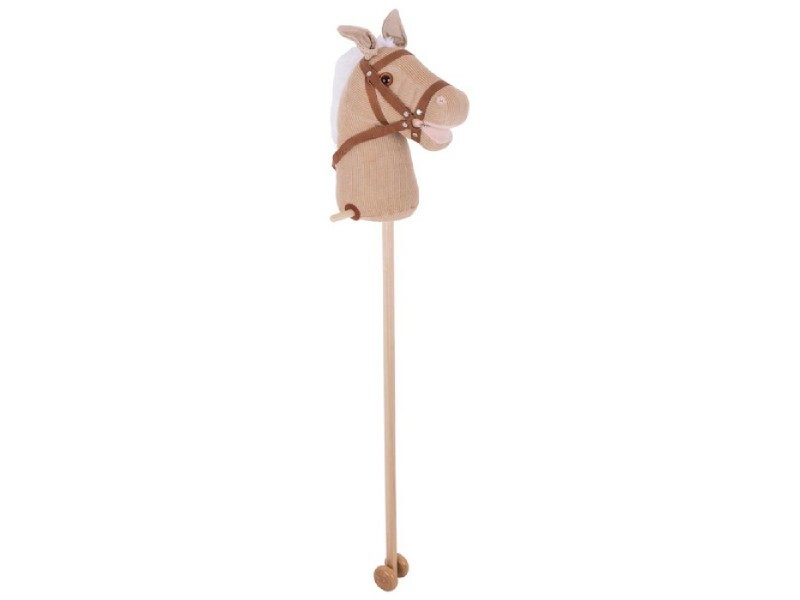 Children will fall in love instantly with this gorgeous cord horse which has two wooden handles and is mounted on a sturdy wooden pole. 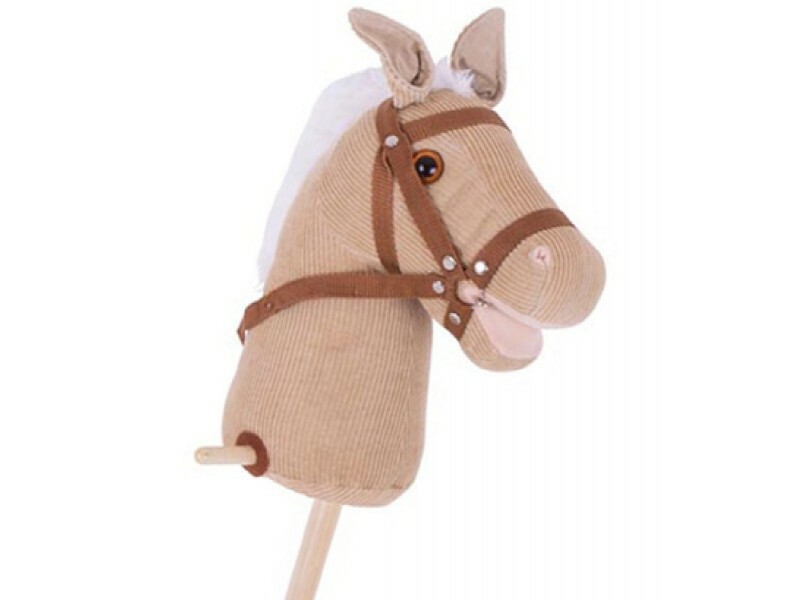 This is a wonderfully tactile toy – children will love the horse’s soft head and mane – which is strong enough for indoor and outdoor play. There are two wooden wheels at the bottom of the pole which will facilitate smooth passage across imaginary fields as well as carpets and wooden floors. 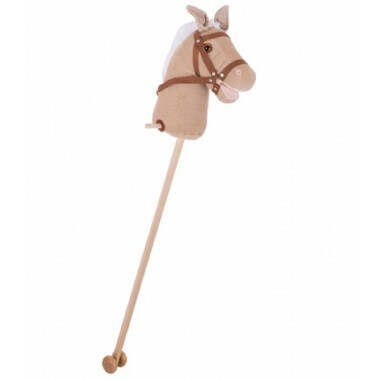 Hobby horses encourage children to exercise and also allow their imaginations to run wild as they dream up adventures and games to play with their favourite horsey friend! Please note that the Cord Hobby Horse does not have rubber washers on its wheels. Good quality, nice looking, immediately success with 3 year old. 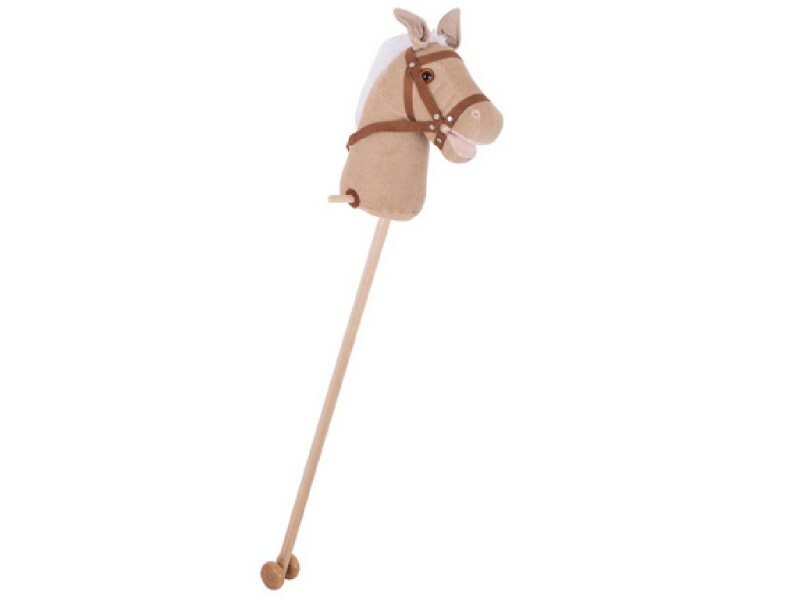 Lovely to have a proper hobby horse. Children should love it. The hobby horse is absolutely lovely. 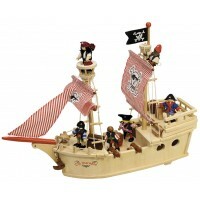 The quality is excellent especially given the price! Can't wait to see my horse-mad three year old daughter's face when we unwraps it on Christmas morning! Well made product, gorgeous looking horse! Good design and value for money. 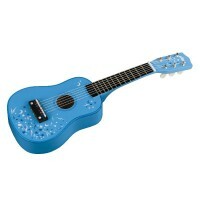 Bought for our granddaughter's birthday in December. She's sure to love it! It's well-made and has such a nice face.